Germany is not expensive in a European comparison. However, secure funding is very important for the success of your studies. The associated costs at a glance. International students completing their entire (or part of their) course in Germany need to consider different costs. To get a better overview, you can distinguish between education and living expenses. The semester fee is generally payable at all universities and for all students in Germany. It has nothing to do with the course fees, and is compiled of fees for the student union and for the student administration (AstA). At many universities the semester fee also includes a semester ticket for local public transport. The actual amount differs for each university, but it will be somewhere between 100 and 250 euros. The semester fee needs to be transferred on enrolment for the course, before the start of every new semester. Whether there are any additional costs for course material or textbooks depends on the specific course. Additional course fees are charged in some federal states. For a long time Germany did not have any course fees and their introduction remains a controversial political topic. As a result of political changes, course fees have once again been abolished in most federal states. Course fees are currently only payable in Lower Saxony. It is the only federal state that generally charges course fees of up to 500 euros per semester, including for first degrees. In contrast to undergraduate degrees, course fees are generally charged for additional courses, such as Master or PhD programmes. The course fee can vary significantly, but in no way reflects the quality of the education. A German student's average monthly budget amounts to 864 euros. This includes the rent, travel expenses, costs for food, clothing, learning material, health insurance, phone, Internet, radio and television fees and expenses for leisure activities. It does not include the semester fee, which needs to be paid prior to every semester as part of re-registration. This means that higher costs arise at the start of the semester. International students have significantly fewer funds than their German counterparts and have to finance their everyday activities with an average of 725 euros. 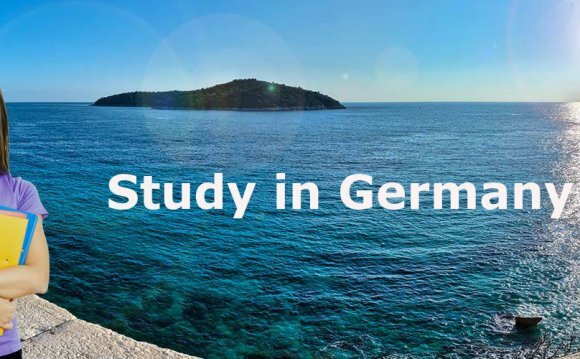 What do German students pay money for every month? Europipe I is a 670-kilometre (420 mi) long natural gas pipeline from the North Sea to Continental Europe.